2900 Warden Ave., north of Finch Ave. Literally located in the middle of the parking lot at Bridlewood Mall, Christie’s Methodist Cemetery is an important piece of the history of Scarborough’s L’Amoreaux neighbourhood. In 1836, Irish immigrants Isaac Christie and Isabella Graeme bought 100 acres of farmland where the tiny cemetery sits from United Empire Loyalist and Huguenot Josué L’Amoreaux. Not long after, Wesleyan Methodist leader Reverend T. Turner convinced the couple to allow him to build a small church, which included a cemetery, on their property. 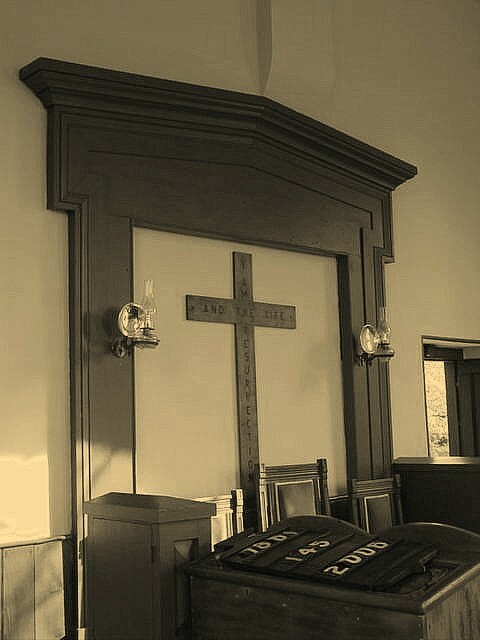 Burials were done at this site until the 1920’s until the United Church finally closed the church down for good in 1938. Home to a large indoor horse racing track for a time, this land became home of Bridlewood Mall in the mid-1970s. The Scarborough Historical Society was instrumental in saving this historic cemetery from being bulldozed after it convinced the developers to save the graveyard. Discussions are currently underway to redevelop the mall and surrounding lands into high-rise dwellings. Jonathan Scott was converted at Chesterfield, England, in 1816 and joined the Wesleyan Church. He became a candidate for the ministry in 1834 and was immediately sent to the Canada Conference as a missionary by the British Wesleyan Conference. Received on trial by the Canada Conference in that year, he was sent to the Grape Island Indian mission (in the Bay of Quinte) where he remained until 1836. He was then ordained and stationed at the Lake Simcoe and Coldwater Indian mission. From 1834 to 1840 he was a frequent contributor to the Christian Guardian on Wesleyan missions to the Indians, criticizing the government’s Indian policy under Sir Francis Bond Head, and defending the integrity of Indian converts. Scott was stationed on the Goderich mission by the conference of 1839, but the appointment was immediately changed so that he might be acting editor of the Christian Guardian during the absence of its editor, the Reverend Egerton Ryerson. In 1840 the union of the Canada Conference with the British Conference of the Wesleyan Methodist Church was dissolved and Scott remained with the former. His appointment as editor was renewed each year by the conference but in 1844 it declined to reappoint him; according to John Carroll the conference felt that Scott had worn the nib off his pen a little by long use. During Scott’s editorship, the Guardian became a strictly religious paper avoiding political pronouncements and confining itself largely to a defence of evangelical Protestantism, more especially Methodist doctrine and polity. Much space was devoted to attacks on high church Anglicanism and on Roman Catholicism. The contrast between the paper under his editorship and that of Ryerson is quite marked. In 1844 Scott returned to circuit work, in which he excelled. The conference of 1845 elected him secretary, in order, according to Carroll, to assuage wounded feelings over his dismissal from the editorship of the Guardian. 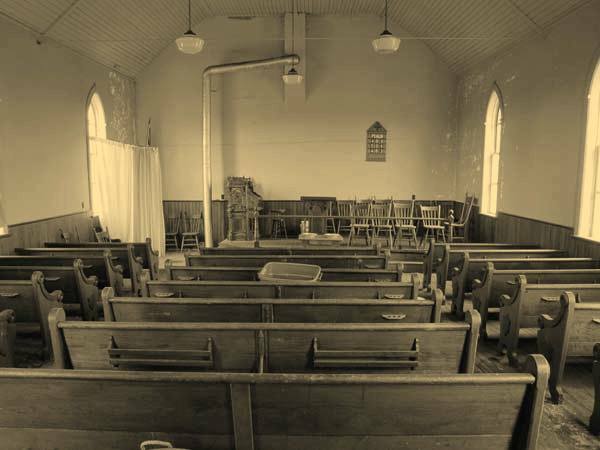 He refused the appointment, however, and continued in the itinerant ministry until 1854, serving on the circuits of Stamford, Cobourg, Port Hope, Perth, and Cooksville. He dropped from the itinerant ministry in 1854, because of his wife’s ill health, and became an assistant to Rev. Enoch Wood, the superintendent of missions, at the Wesleyan Methodist Missionary Society office in Toronto. He was superannuated in 1868 and moved to Brampton, where he died. UCA, Minutes of the Canada Conference of the Wesleyan Methodist Church in Canada, 1834–74; Minutes of the Conference of the Methodist Church of Canada, 1874–80. Christian Guardian (Toronto), 1834–80. Wesleyan Methodist Church in Canada, Missionary Society, Annual Reports (Toronto), 1834–41. Carroll, Case and his cotemporaries, IV, V.
Our worthy and respected chairman and my colleague being so much engaged in the District, it has fallen to my lot to report to you the prosperous state of our circuit and the mission attached to it.. This being my first communication to the Christian Guardian, I am happy to say that I rejoice that we have so easy and expeditious a means of gladdening the hearts of our brethren and friends through its extensive circulation. My very respected superintendent has laboured beyond his strength, and I am fearful he will not be able to bear up under such exertions very long. This is a painful thought to my mind as well as to the minds of the friends in the circuit and district, as his labours are so valuable both as a superintendent and a chairman. As it regards our circuit, it must be remembered that, notwithstanding we have two preachers appointed, a great part of Brother Wright’s time is taken up in his other appointments in the district; and a part of my time as well as some of Brother Woight’s is spent in our mission to Warwick and Adelaide; and yet we are enabled through the assistance of a Local Preacher, our highly esteemed Brother Millar, to do the work of two preachers on our circuit. We are grateful to Almighty God that our members are advancing in piety, and manifesting and increasing attachment to our doctrines, our discipline, and the general cause of true religion; we can likewise say, that we have peace in all our borders. We have lately formed some new classes and added several to the old classes; one in particular in the Mordeau’s Settlement has greatly increased since our coming on the circuit, Our late protracted and Quarterly meeting in the London village, has been especially owned of God : eighteen new members joined us, and a blessed feeling has been produced. A very great impression was made on the minds of the people after the lovefeast, by a sermon on the “Barren fig tree,” preached by Brother Wright. The lovefeast, also, was a remarkable time of refreshing from the presence of the Lord. Our mission, to which I have referred, and of which you lately had some account in the communication of our respected Brother Crealy, is also doing well. In my late vist there, I was providentially led to a part of Adelaide where we had not been before; I preached twice and formed a class of 12 members; we have also a small class at our Brother pegley’s, and another in Warwick of 20 members. I am highly gratified with the prospects of scriptural holiness being spread in every part of Adelaide and Warwick, where we and Brother Crealy have laboured. I may add, that our work in this mission is laborious in the extreeme; my late visit was particularly so, as I had to perform the journey on foot, in consequence of the bad roads. I had to walk from seventy to eighty mile, and preached eight times. 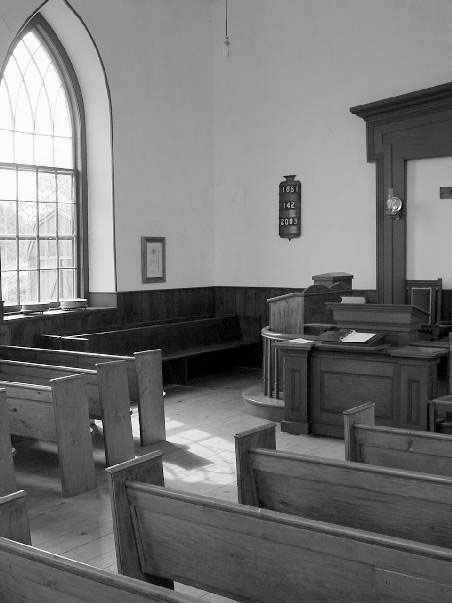 Our Brother Wilkinson has referred to areport circulated of chapels and members going from us to other people, particularly in the west of this province, a report by the bye, which had not the least shadow of truth in it as respects our circuit, and I believe equally untrue as far as Brother Wright’s district is concerned. Having given you a brief account of the state of our circuit, permit me to express my appreciation of the Christian Guardian, and the pleasure I have from time to time in reading in its columns of the sucess of God’s cause in this province and the world in general. ” I am happy to inform you that our Circuit is still in a prosperous state; we had our fourth Quarterly Meeting last Saturday and Sunday, which was attended with a general blessing from the Lord.